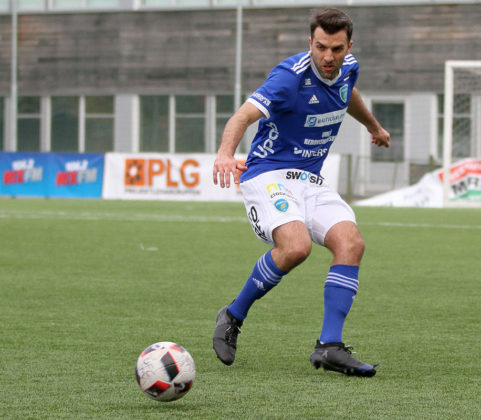 26-year-old De Carolis is signing for the club after playing for the past three seasons in Sweden, most recently for Umeå FC. 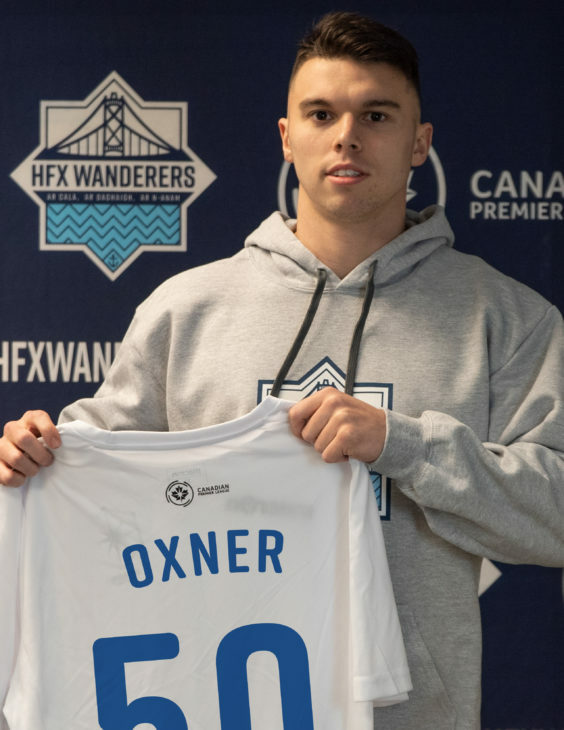 Oxner, who is 22, is putting pen to paper to become an official Wanderers player after being chosen by the club at the CPL-U SPORTS draft last November. Alex De Carolis is another versatile signing with the ability to play several positions in defence or midfield. Christian Oxner has been a standout player for local teams Dunbrack, Western Halifax FC and Saint Mary’s Huskies. While at different stages in their careers, both players have the kind of drive and dedication that has made it easy for Hart to put his faith in them. The Wanderers coach sees De Carolis as a well rounded pro who brings experience and know-how to the squad. “He took his chance and got out of his comfort zone in a country that speaks a completely different language and it goes to show he will do whatever is necessary to join the professional game,” Hart acknowledged. 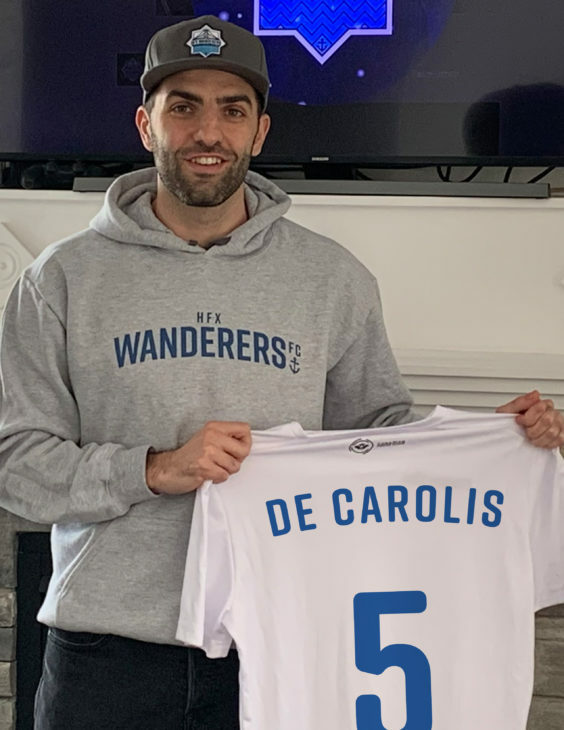 It’s a move De Carolis has been hoping for after feeling a little overlooked by professional teams in the past, in spite of a fine collegiate career with Canisius in Buffalo where he played in Division 1 of the NCAA. Not bad for a kid whose first passion was basketball, before he began to discover his soccer talent with youth club Sarnia Fury. He later won professional development league championships with FC London and was also with the Seattle Sounders youth system before taking a chance on a move to Sweden. 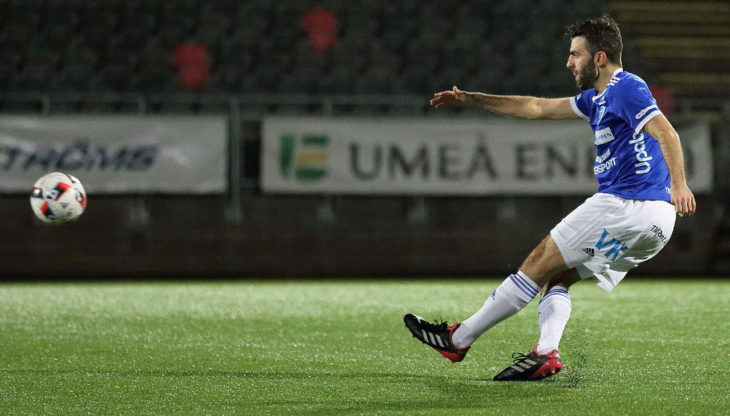 Having an Italian passport through his parents made it easier to go to Europe, but he still started at the amateur level with Nora BK before earning a move to Västerås BK at the pro level. He played most of last season with his third Swedish club Umeå FC at centre-back, showing a versatility and attitude Hart likes and that De Carolis says is a big part of who he is. 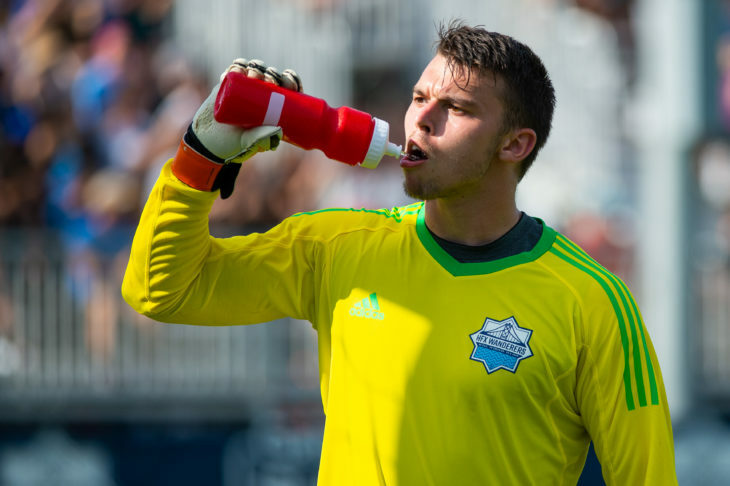 Wanderers fans will already know Oxner after his outstanding performance in goal for the Atlantic Selects team last summer against Fortuna Düsseldorf. One of the highlights of the game was his save in the penalty shoot out. Christian Oxner making a spectacular penalty save against Fortuna Düsseldorf for the Wanderers Atlantic Selects. He was a big part of the dominant Western team that won three provincial championships and a national title, which Hart has also been impressed with. “I think it’s great for the kids who can see we can actually make the team from here and seeing me out there and doing well will give them something to set their goals for,” he said. Christian Oxner is hoping to be a role model to young players in the Halifax region he’s proud to be representing. Just as he pointed out when signing Scott Firth, Hart is making it clear Oxner is not being signed because he’s local, but because he’s good enough. And the Wanderers boss expects him to get better in a professional setting alongside veteran former international keeper Jan-Michael Williams. “He’s got an excellent mentor in front of him, someone who has played 81 international games and has played all over the world and if I know Christian, he is going to absorb everything and prove himself,” Hart said. 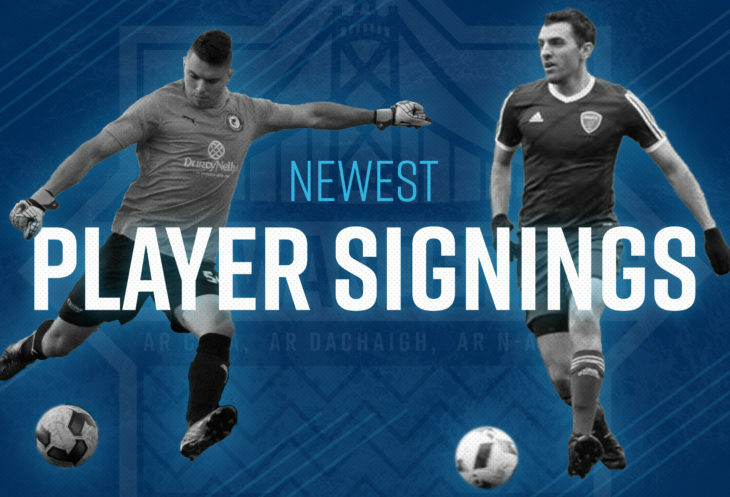 Stay tuned for more new player signings in the next few weeks as the club continues to build it’s first ever squad for the new Canadian Premier League season, kicking off in April. The club want to congratulate Alex and Christian and wish them all the best with the Wanderers.